I hadn’t done a vegetarian option for my Feed 4 for £6 series for a little while so I thought it was about time I did. I am a big fan of recipes which involve putting ingredients into a pan, putting a lid on and leaving it to its own devices and this is one of those. 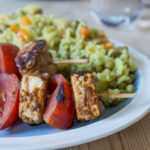 If you can’t find paneer for this recipe you can use halloumi but it’s saltier. All you need otherwise is onions, carrots, peas, curry powder and rice. Sorted. Heat around 1 tbsp of the oil in a large frying pan on a medium heat and add the onion, carrot and garlic. Fry for around 10 minutes or until softened. Add the curry powder and rice and cook for a further minute. Add the frozen peas and pour in the hot stock. Bring the pan to a boil then reduce the heat to a simmer, put on a loose fitting lid. Simmer the rice for 15-20 minutes or until the rice is tender and the stock has been absorbed. Check on the level of stock while it’s cooking and top up a little if needed. While the pilaf cooks heat a pan up on a medium heat and add a little bit of oil. Season the paneer all over with salt and plenty of pepper before adding it to the pan. Fry the paneer until golden brown. Check the seasoning before dishing up the pilaf and divide the cheese between the plates. Rice is always welcome on my table in whatever form it comes. 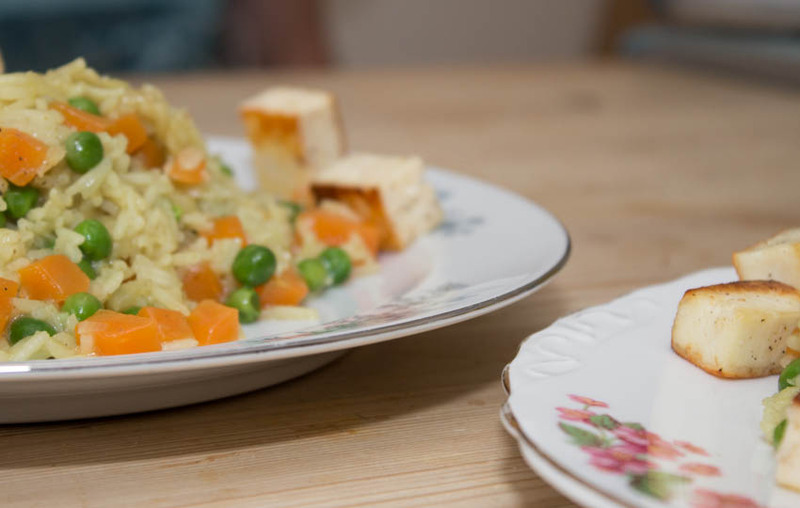 In this it’s got a lovely curried flavour along with the sweet carrot, peas and onion and the peppery slightly salted cheese. My favourite bits are the golden edges of the paneer. I have to say that this has to be one of the most filling things I have ever made, I almost couldn’t eat it all (but I had just had some cake!). This costs less than £3 for four, is very satisfying and is easy to make. Ideal weeknight grub. Anyway, I like the sound of the dish you describe, and it certainly sounds easy to do. 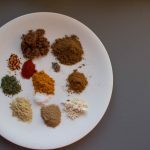 It would probably work in different styles too – like 5-spice powder and tofu for Chinese, and chilli powder and Monterey Jack for a Mexican style, etc. 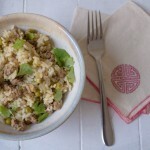 Lovely Asian rice and yes please to anything with rice. 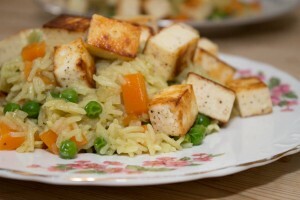 I would probably try the rice with my favourite pan-seared tofu! A lovely meal! I just made some paneer last night – it’s super easy to make. 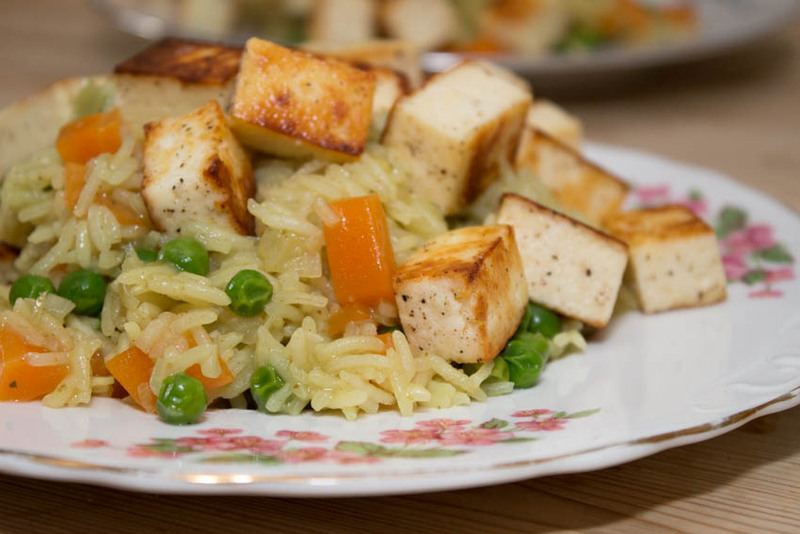 This looks like a tasty dish and a great way to use paneer. Looks great, I love a “shove it in the pan and let it work it’s magic’ types of recipes too. Thanks for sharing! I agree that dishes cooking on their own are a very good thing. It’s something I do often, and I think this one may have to be on the menu here soon – thanks for a great idea! Love love love paneer and this looks wonderful 🙂 What a great cheap meal. A delicious and healthy dish!I love it. This looks so delicious and love how easy it is to make! You will always find a bag of frozen peas at my house 🙂 I will have to hunt down the paneer, but if I can’t find it, I will take your suggestion and sub w/ halloumi. So glad you stopped by my blog to say hi and happy to have discovered yours! peas and carrots in fine and unique form!